The idea of Cuba being a county that was inaccessible, that was closed off to the world at large was always a misconception. Arguably it was minimally problematic for Americans to visit with ease, and yet this has been significantly relaxed in recent years. 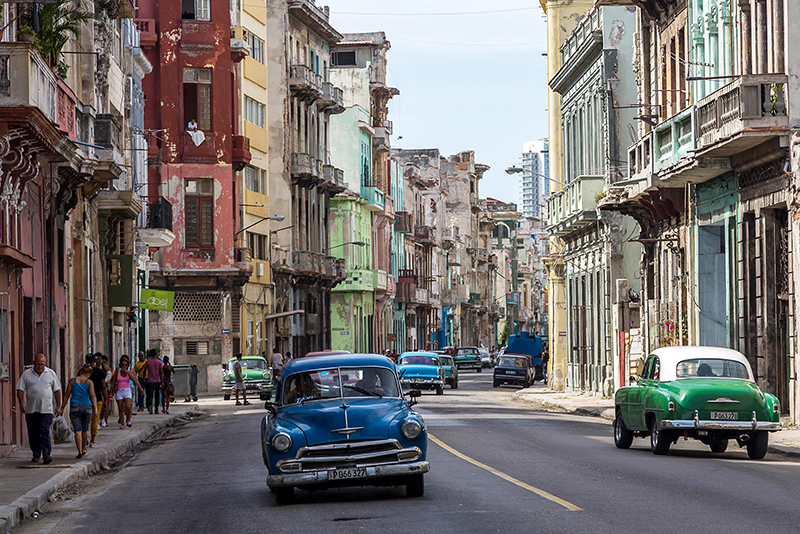 Cuba, and Havana, its luminous capital city, has always been an alluring tourism destination. Cuba has a burgeoning film industry, and a countless number of TV travel shows have featured the city as place you’ll want to visit. So while you might have seen a number of videos that have featured the best things to see in Havana, it’s a somewhat sterile encounter compared to when you actually set foot in the city yourself and get the full sensory experience that the city has to offer. You might have had a vague idea of what to expect, and sure, you’re going to see (and smell) those bulky vintage American cars promenading up and down the narrow streets, hear salsa music emanating from most bars and clubs as the sun goes down (or in some cases, all day), and eat and drink until your body protests. 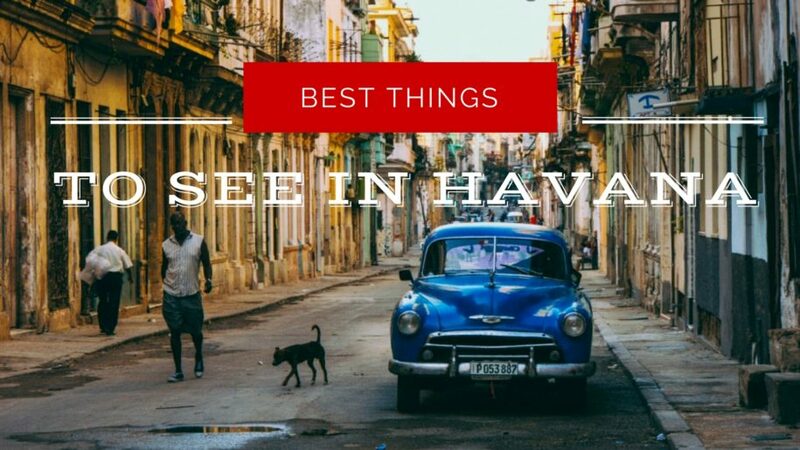 But this is only the tip of the iceberg when it comes to what you’ll want to experience when you visit Havana for yourself. This oceanfront walkway is predictably somewhere you’ll be spending a lot of time at when you visit the Cuban capital. Not only is it one of the best things to see in Havana, it’s arguably one of the most relaxed and authentic. On paper, a rather basic walkway might not sound like a major drawcard, but the Malecón teems with life in a way that can be utterly charming. It’s like a community meeting spot in some respects; a place where locals come to do little more than relax and take a gentle stroll. You will see a cross section of Havana locals here on any given day, to teenagers sneaking a beer, to large families, to people staring fixedly at their smartphones taking advantage of the fact that this is one of the increasing number of wifi spots in the city. The Malecón experienced some damage as a result of the violent seas in the aftermath of 2017s Hurricane Irma, but repairs began almost immediately. There are also a number of planned refurbishments ahead of the Malecón’s 500th anniversary in 2019. When walking along the expanse of the Malecón, chances are you will spot one of the best things to see in Havana proudly jutting upwards from the shore. The Hotel Nacional de Cuba is, in a word… plush. One look at its 1930s art deco exterior will conjure up images of cocktails and casinos, rubbing shoulders with the rich and famous, where it would be unthinkable to not wear a tuxedo for dinner. This grand building was once the playground of the rich and famous, with many stars from Hollywood’s golden age flocking to the hotel in Cuba’s pre-revolutionary era. There was also a lot of mafia bigwigs meeting in the hotel, away from the prying eyes of US law. Now the hotel offers a glimpse into Havana’s glamorous past, and is worthy of your attention, even if you don’t actually plan to stay there. Los Jardines de la Tropical don’t feature heavily in the many guidebooks singing the praises of the Cuban capital. They might have, if those guidebooks were written in the late 1800s when the gardens were laid out. On the edge of Havana, a wealthy local family (the Herreras) built a sprawling estate, complete with an ornate ballroom and gardens capable of hosting mammoth parties (which they did). As the money dried up, so did the parties… for a while. The vast depths of the gardens are still used for concerts and the occasional party (for which a ticket can be purchased), but now largely serve as a reminder to the faded fortunes of those who thought the gardens would be a part of their family estate forever. Be cautious if you should explore the gardens, as a number of the buildings have fallen into disrepair to the point of being unsafe. One of the best things to see in Havana is, objectively speaking, kind of curious. Cuba was not (officially speaking) enthralled with the music of the Beatles. Their music was in fact banned in the country during the 1960s and 1970s, but the philosophies of John Lennon seem to have made their mark on Cuba, with the Parque Menocal being renamed Parque John Lennon (John Lennon Park) back in 2000. The park features a life-sized statue of Lennon, sitting placidly on a park bench. You will notice that he is without glasses. Originally part of the design, his glasses were regularly chipped off and stolen by eager souvenir hunters. Tired of continually replacing them, park security now just keeps a pair of glasses to be put on the statue for photo opportunities as needed. It’s not only one of the best things to see in Havana, it’s also one of the most unexpected. It’s always sublimely stimulating to walk the streets of an exotically unfamiliar city, but sometimes you need a break while still checking out of the action. One of the best things to see in Havana is the city itself… from above, with a cool drink in your hand. The city has a bunch of rooftop bars to choose from, but the classiest has to be at the Hotel Inglaterra in Havana’s Old Town.